An Irish tennis champion fallen on bad times marries a seductive but unsuccessful French dressmaker. They drink and gamble and end up at the casino in Monte Carlo, believing they have a winning method to cheat the cards. They don't, and find themselves bankrupt, so befriend a wealthy Swedish widow and steal her cash and jewellery. The widow ends up in pieces in a steamer trunk that leaks blood onto the train platform and voila! The getaway pair is arrested. "Though I never really understood why they decided to take the trunk back home with them," says my guide, Fatoumata Froissart Diallo, with a shake of her head. "And in the middle of August!" The date was 1907 and the casino was famous. It attracted scoundrels and cheats, aristocrats and millionaires. Only prim Queen Victoria refused to come while holidaying down the coast. She disapproved of the grandes horizontales, the glamorous courtesans who frequented the gaming rooms. The most famous was Spanish actress Carolina "Le Belle" Artero, a star of the Folies Bergere. There was scarcely a king or grand duke she hadn't bonked. "In her diary, she claimed she needed a week to recover after a night with the king of Belgium," says Froissart Diallo. "Apparently, she preferred the emperor of Japan, who only wanted a cuddle." 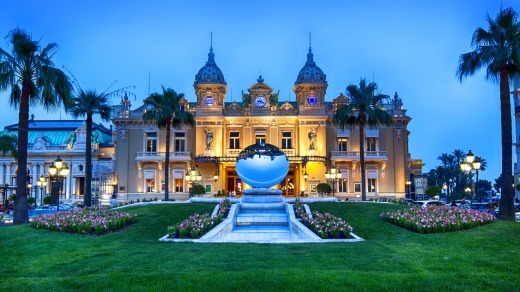 Froissart Diallo gives private tours in Monaco, and this one is a corker. Without my guide, the casino would be a quick walk-through. In Fatou's capable telling, this monument to bad taste comes alive during an early-morning, behind-the-scenes stickybeak. "Just look at the ceiling of the White Salon," Froissart Diallo tells me. I ogle three naked nymphs. "They're depictions of actual courtesans, and everyone could recognise them back in the day." Another tale of silken embraces and wicked behaviour unfolds. The courtesans grew fabulously rich, as did the casino. 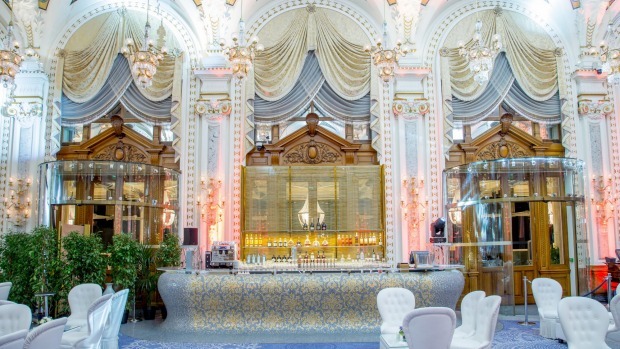 The building groans with gold leaf and crystal, gilt mirrors and velvet drapery, and has ceilings painted by prestigious artists. Today's slot machines look incongruously out of place in this explosion of palatial, rococo extravagance. "It was a playground for the happy few. The rich, politicians, monarchs. They all met around the gaming tables during the Belle Epoque. It was like a G20 summit, only much more fun," says Froissart Diallo, who then sneaks me into an empty private room for high rollers. The roulette table feels like a James Bond prop. They use quarter-million-euro chips here, metal plaques and very heavy, according to Froissart Diallo. Not that she's ever seen one. Monegasque citizens aren't allowed to gamble. 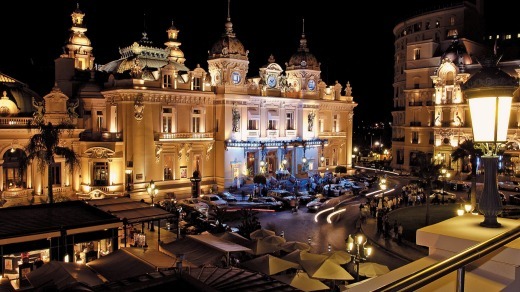 The casino made Monaco rich and famous, and it intends to stay that way. We continue into the Salon Rose, once the smoking room. There are more bare-breasted ladies on the ceiling, puffing at cigarettes and cigars. ("The painter specialised in religious scenes, take the cigars away and you could be in a church," mutters Fatou.) The counter of the open kitchen sits under an awning that resembles the top half of a Faberge egg. We wander into Le Train Bleu, a restaurant that pays homage to the luxury train that once brought visitors down from Paris. It looks like a railway carriage, heavy with wood and burgundy leather and red velvet chairs. A bloke in a bow tie is vacuuming the carpet. Outside the casino, the valets have red collars and silver buttons. When they aren't parking Ferraris and Maseratis they wait in a room nicknamed the Morgue, because that's where the bodies of luckless gamblers were once laid after they'd shot themselves at the gaming table. Legend has it, anyway. I haven't gambled myself, but my investment in Froissart Diallo has certainly paid off. Brian Johnston was a guest of Visit Monaco and Silversea Cruises. 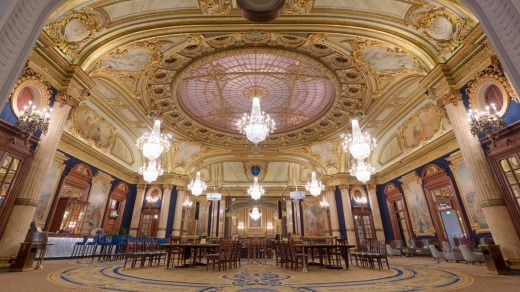 For more than 150 years, the Casino de Monte-Carlo has been a source of scandalous stories.